Make an evacuation plan for your home, hold a family meeting, and conduct a drill. Learn how to use a solar oven. Take a First Aid or CPR class. Take a basic firearm class or an advanced class if you already know the basics of shooting. 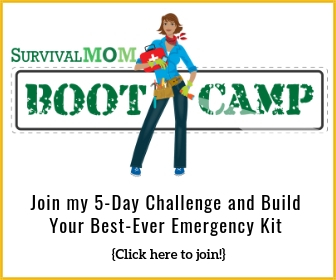 Choose a family hobby that is preparedness oriented. Learn how to start a fire using three different techniques and three different types of tinder. Go through your monthly expenses line by line to see which expenses can either be eliminated or decreased. Find the shut-off valve for your home’s water and gas systems. Try a new variety of freeze dried food to see how your family likes it. Find seven new recipes that primarily use only the food in your storage pantry. Learn how to bake bread from scratch. Start an herb garden and dehydrate your own herbs. Plant three vegetables that your family enjoys eating. Make a list of all the non-edible products used in your household in a typical week. De-clutter one room in your house to make space for for your food and supply storage. Take a walk or go on a bike ride with your family. Make a family plan to gather everyone together In the event of an emergency that occurs while everyone is away from home. Plant a variety of medicinal herbs that are suited to your climate and will be helpful to your most frequent ailments. Read a preparedness related book. 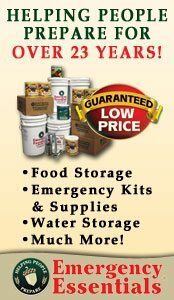 Write out a Family Evacuation Plan. Take a class to learn orienteering. Sign up for a local CERT class. If you have firearms and ammo, do an inventory of both to determine if you have too much of one and not enough of the other. This post sponsored by Emergency Essentials. 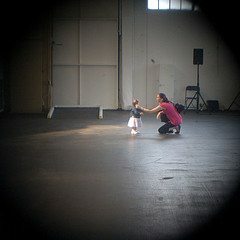 Great post because lists help us focus. I would add buy some appropriate maps for your needs and learn how to read them and orienteer. 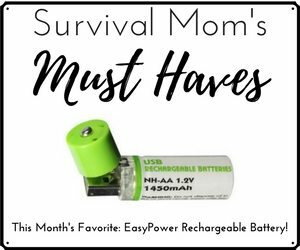 Preppers LOVE lists and this is a good one! I'd add make a list of personal info. w/ #s and addresses for: family & friends, church, bills, doctor, dentist, etc. We rely on shortcuts through our computers and phones. Do you have your best friend's phone # memorized or do you tap on, or speak their name, into your phone? A lot of people have been recommending the purchase of gold as maintaining a means of financial security. Many people can't afford gold, so they buy silver. Junk silver is a name given to quarters and dimes minted prior to 1965. They actually contain real silver, giving them an intrinsic value. Theoretically, a silver quarter, pre-1965, will have a greater value than 25 cents because of its silver content. Small amounts of silver would be easier for everyday transactions than would gold. Pre-1965 coins are generally 90% silver, I believe, so be aware that many "silver coins" from more recent years may contain silver, but not as much. The circulated coins are termed "junk" because collectors don't value them highly, not because they actually lack in value. Personally, I find silver more attractive because most things aren't high enough value to require payment in a measurable amount of gold. How much gold for one dozen eggs? Too little to be worth the effort, for example. Inflation.US publishes melt values of all US coins. Coinage, to buy and sell in a farmers market or flea market type of scenario post- disaster. The paper money is backed by loans from China and therefor useless. The coins are recognizable to all of us, to tell if it's real or fake. If you want to buy rabbits and only have honey to trade and the seller doesn't want honey, coins is the answer. Always has been. That's why they were invented. Gold is for preserving your wealth (if, unlike me, you have wealth). Gold will still be worth gold when all the dust settles. Thanks so much ~ where/how would I go about buying "junk" silver? I know it's on eBay etc. but I'm very new to this & would prefer not to make a mistake. 🙂 Thanks! I'm not an expert, so don't take this as financial advice or anything but a description of my personal experiences. I check the price for silver online – one site is linked below, but please post if you have advice on the best ones to check, I chose this one fairly randomly – and it's generally been a bit under $20 but over $15 in the past year when I've bought. Coins have been minted and had other effort added, so they cost slightly more. I generally aim for no more than $20 purchase price for $1 in face value. That means I'll pay $18 for a Morgan Dollar ($1 face value), or $29 for 10 mercury dimes ($1 face value) and two silver quarters ($.50 face value, for $1.50 total), but I wouldn't pay $29 for a Morgan Dollar. That's not the most accurate, exacting way to do things, but it's something I can remember and figure out pretty quickly and has seemed to work well as a rough guide. You can find lists of all the different coins online. Pre-1965 coins generally have 90% silver content. More recent ones do NOT, so a 2000 silver coin probably has less silver content than a 1950 silver dollar. (Again, I'm not an expert, so this may not be universally true, but has worked well as a rough guideline for me.) Circulated coins are termed "junk" by collectors because they can be very worn, so they don't have the same value as collectibles. For purposes here, though, they are just fine and it's not worth the cost to get pristine coins. My only comment would be to remember the grade and rarity of Morgans. Depending on the mint and the year they were minted, along with the condition Morgans have intrinsic value due to their rarity. I guess it really just depends what your goals are and how you forsee using them. Just a thought anyway. This is a company in a small midwestern town and I have found them very good to do business with. If you have have the money I would even engourage you to consider Morgan Silver Dollars in addition to junk siver. I recently read an essay by Ferfal (I probably have the name wrong) and he talked about gold/silver during the Argentinian economic collapse. He said anyone with such coins was likely to be murdered. He recommends buying gold from pawn shops, in the form of wedding rings and link necklaces. A link necklace can be taken apart fairly easy, which will be important in purchases made with gold; if you buy a few bars of soap, the cost probably won't be the whole necklace. Just part of it. You don't want everyone to know you have gold or silver. A wedding ring is common in our society and is a logical thing to sell if times get bad; if you need to do a gold transaction with a ring from the pawn shop you should shed a few tears as you part with "your very own" wedding ring. Probably no one will suspect that it's a ring with no sentimental value and your real very own wedding ring is hidden somewhere at home. I suspect silver flatware would also be a wise investment; unmatched pieces will probably be cheaper. Pawn shop, here I come. You don't mean Marc Farber do you? I have never read any warnings against owning gold or silver before. This is pretty scary reading. Most preppers are trying to accumulate some gold or silver, but as always in prepping, "silence is golden". Great list! I wish I knew someone who knows how to knit. That is a skill I would like to learn. Thanks! Go to the craft section of any store, or to JoAnn/HobbyLobby. There are books galore that have not just instructions, but needles, accessories, and lots of know-how. Select your yarn, and go practice! (That's how I did it years ago!) Good luck, and enjoy! You can look on youtube for lots of very good tutorials. Get a pair of knitting needles (or you can try 2 sharpened pencils, but it's much smoother with the needles) and some cheap yarn and go at it. Knitting is much easier than crocheting, in my opinion. Good luck! try to go to the local library or the local county extension office, Sometimes these people know of someone who knits or can help you find a group in your area. Take your time with any new hobby, you will catch on to it. Good luck. $25 worth of junk silver is only about an ounce and a half (if that) at today's prices. Find a reputable dealer and buy as much as you can afford, and do it more than once. Junk silver is pre-1965 silver coins: dimes, quarters, halves, and dollars. It is not sold at face value but by the ounce, so you need to make sure you are getting REAL silver, and try to buy as much as you can afford. IMPORTANT: Silver is measured in TROY OUNCES, which are slightly more than a standard ounce. When you buy, make sure they are giving you a TROY ounce measurement, because $20 (or whatever) is the value of a TROY ounce, and you're overpaying if it's a standard ounce. KWIM? In medieval Europe when the lady of the house went to the market her men went with to guard. They guarded not just her, but the rings she wore to pay for things. The plain, unadorned wedding band so common in society today comes down from the common coinage ring of those days. (Her wedding ring was always one of her husband's rings, to prove she had a husband.) Small gold and silver rings can be hidden under gloves, and can't be pocket picked. Copper rings were carried to give to poor children as charity. They could put them on their fingers and clutch them tight to keep them from being stolen by bigger bullies. This, of course, applies to people rich enough for gold and silver. Poorer people traded goods. To prove they were able to support a wife, young men would save earnings to trade for a single gold ring for their bride. It was her's to spend if times became severe, sold only to save her's and her children's lives. Sorry to those who didn't want a history lesson, but those who forget history are doomed to repeat it. What an interesting post concerning rings. I have never read anything like this. Thanks for sharing. Great info, Barbara! 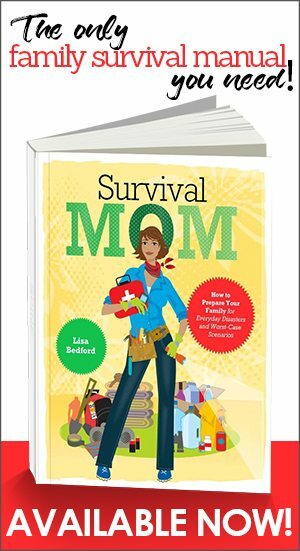 I always say that SurvivalMom readers are among the smartest women in the country! History is so amazing…thank you for sharing this history lesson with us. Most of us have families spread out all over America if not all over the world. So on the subject of escape plans and the probable lack of public communication during the time such plans may be used, I would make sure that the important people in my life also know the plan and that I know theirs. And I would include at least two meeting places so all would know where to come when it was possible to reconnect with loved ones who don't live close any more. I come from a big family and I would hate to wonder what happened to any of them or my children and their families. It could take years to find lost loved ones as we already have seen from the past. After I read One Second After, I simply couldn't go out of town without thinking, "If an EMP happened right now, we could NEVER get home again." Your idea of having planned meeting locations is a good one. The trick, really, is the ability to communicate. We could wait for years for my husband to return home, if he were out of town, while he may have given up on returning and found another woman! LOL I have a friend who raises homing pigeons, and the thought of using pigeons to carry messages in the case of a true SHTF scenario has occurred to me. I'm not sure I like the idea of getting a Concealed Carry Permit. After all, that tells the government that I have a weapon. That's a decision you'll have to make — whether it's more important to have a firearm with you or have documentation registered with your county or state. There should be extra weapons to surrender should the government come collecting. As the ol' saying goes… "it's better to have it and not need it, then need it and not have it." In MA, it's illegal to not register a weapon, therefore all ours are duly registered. However, should they come gun collecting, ooops, I lost mine…"Honey, I thought YOU reported them missing." I'm not particularly worried about anyone taking our guns. In this town, there are very many people who own them and are responsible. In Maryland, I believe, not only is it illegal to not have a pistol registered (they don't care about rifles and shotguns, apparently), but if they come calling and you can't find them and they don't have the report of them missing, then that's a crime and you can be arrested for that. 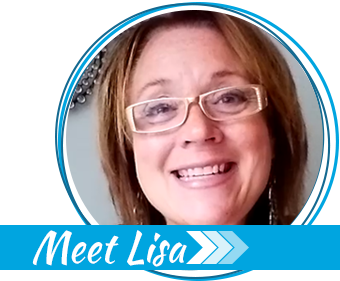 My thanks to Lisa for re-awakening my interest in getting prepared. I have so many questions, but one has really been bugging me. Storing water: how do you store more than a few weeks worth? I've been refilling 2 liter and 1 liter pop and water bottles, putting a label on them so I can write the date, and I've read that I need to empty and refill them about every 6 months. But for 4-6 people, depending on who can get here, that's lots of bottles of water. What do the rest of you do? I do have a water filter, a Katadyn. Thanks! We have two large barrels(food grade) that we've attached faucets to. If something goes wrong we can use the outside faucet to fill them since they're stored downstairs. We also have Katadyn filters and cartridges. Since we have a well, we need electricity to use the pump to get that water, so we have two generators and a supply of gasoline treated with Sta-Bil. We will run those generators sparingly. It does help that we have a beaver pond on our property and a stream, so hauling water could be a necessity someday. Re: water barrels(55 gallon), one can go on a dolly for easier access. One thing left off the list: Get a good multi-tool, lockblade folding knife and fixed blade knife.